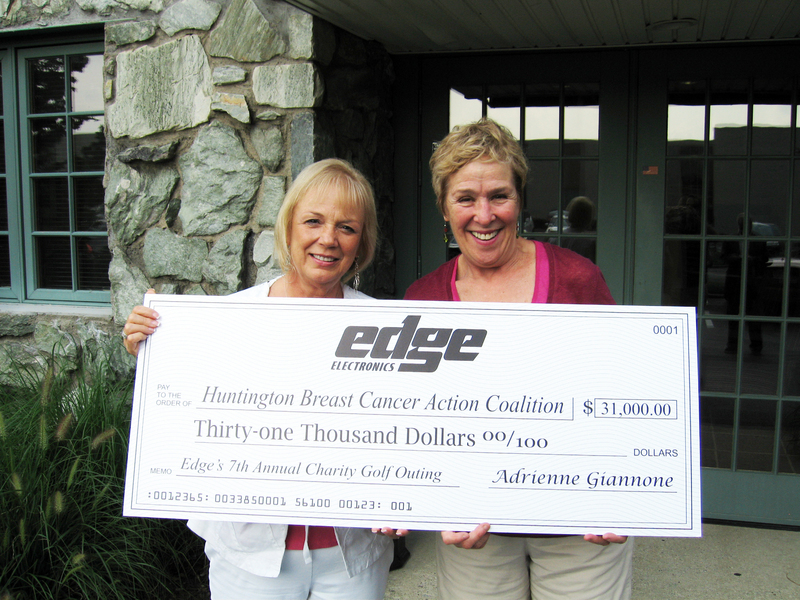 Edge Electronics has been hosting a charity golf outing year after year, and the tradition continues in 2016! Each year we round up people in our industry and anyone we know to help raise money to support the fight against breast cancer. We meet on a beautiful day in late spring, have lunch, golf, laugh, celebrate and give out prizes. It’s always a jolly good time. The proceeds from the past few years have benefited the Huntington Breast Cancer Action Coalition (HBCAC) and will do so again this year. They are a remarkable charity led by a remarkable woman – Karen Miller. Huntington Breast Cancer Action Coalition (HBCAC) is a not-for-profit grassroots organization dedicated to the ultimate eradication of breast cancer through education and awareness. Our mission is to focus on prevention methods while actively helping those who are faced with a positive diagnosis. So far, with all of your help, we’ve raised over $350,000 to support the fight against breast cancer, and have done wonders for awareness. Let’s keep it going!